ITP #29: Have you ever spoken with someone who just took over the conversation? Are you that someone? What about during your prayer time? This week Anush tries to quiet her mind and have a conversation, rather than a monologue, with God. And it's Anush's birthday, so stop by Inside the Pomegranate, and join life's celebration! From the moment we wake up in the morning, until we at last fall asleep at night, we are constantly bombarded with thoughts, texts, calls, emails. Right? I think it was last week's blog image that might have had a subliminal impact on me. 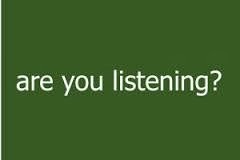 It said, "Are you listening?" Something about this came to me during morning prayer time, and I wanted to share it with you. My phone alarm chirps out a cricket tone every weekday moring at 5:00 a.m. Not too harsh a way to wake up. And just like all of you, from the minute I wake up my mind starts racing through the day and what I have planned. Last week, I was sooo tired that every morning was kind of a jumble of thoughts in my half sleep, with my head in a funk, trying to figure out what day it was, was it skid row outreach night? or Ascencia night? Do I have enough crew? I have been trying to be a little kinder to myself and working on getting to bed earlier...at least by 11. And so far - at least for this week - I've been waking up a little clearer. "Okay, time for prayer. It's 5:20...still have to get dressed. Don't forget to pack the crocheting for the busride, it's in the family room. I wonder how mom's doing. Hope she's feeling okay. What meals am I going to put together for her today? What's in the fridge for her? Remember to get a stamp to mail off the bill to the gardener? What's the weather like outside? Will it be cold at the busstop? Check the weather..." Okay so you get the idea. And although I'm not actively thinking about all these things during morning prayer, it's kind of like a running script in the back. John Aston and Carolyn Jones...well on that show he always had this ticker tape machine going that was linked to the stock market -- how did that work anyways? I mean what would that be connected to? That was in the days before fax machines right? (I'm going to need to google that!) 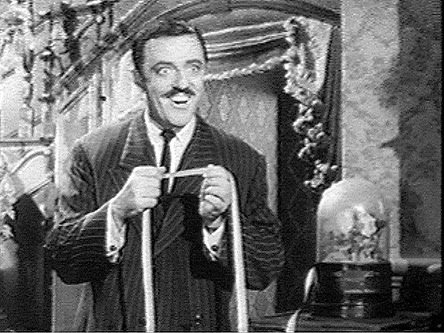 Anyway, Gomez would always check how his stocks in Consolidated Lint were doing. Well, that's kind of how it is....the back of my mind is always taking stock of the day. And this past week, in one of my daily writings, I mentioned the word "conversation" and how much I appreciated my morning conversation with God. But I realized something. I wasn't really having a conversation as much as a running monologue. A conversation is two way, right? And with my thanks, and praise and petitions to God, I don't think I was giving a chance to let God get a word in edgewise. Have you ever spoken with someone like that? Someone who dominates the conversation? They go on and on, and everytime you change the subject, the conversation changes back to that person. Well, I'm picturing that person as me, with God on the other end. So this week I changed things up a bit. I made my prayer time more like a conversation. I would pray a bit. And then stop....and sit in silence and listen. And then continue....and stop....meditate on it....and listen. It's not like I was waiting to hear God answer every single issue that I was discussing, but I wanted to still my mind enough to be able to feel God's presence. First things first: I'm alive (and Healthy!)! Every day, and every year is a celebration and a blessing. Think of the alternative, right? So for that I'm truly blessed and grateful. This past year, I walked in my 10th Avon Walk for Breast Cancer. The first four years of those ten were 60 mile (three day walks), and then six 39-mile walks. Every year I walk, it becomes more and more joyful as I am accompanied by more and more family and friends who make the miles go by more easily than those first few walks alone. And God willing, we'll be walking together again, this coming September with Team In Her Shoes! It was also my first full year of adjustment to my empty next, after my daughter Ani got married. But the nest wasnt empty for long because soon after Ani moved out, my mom (aka Mamajan) moved in, which has been a blessing for all our families since having her with us allows us to help her when she needs our help. And then the little children's book I illustrated - When I Go To Church - was published. This little book was a milestone for me because I went to school to be a children's book illustrator, and after years of being able to do everything but be an illustrator, it finally happened. It's a child's view of what they see when they are attending badarak. Let's see, what else? This past year, we traveled to Chicago twice to visit our little granddaughter Grace...and that's always fun, and sad when we have to say goodbye because we miss her so much in between visits. But hopefully this year, there will be more visits. Oh, here's a big one....the podcast! Although I had established my blog, this past year Inside the Pomegranate joined the epostle lineup of podcasts and this week, we are on Episode 29! Already! This past year was my first full year as a vegetarian, so there were a lot of positive changes in diet and thinking, and I've started off this year as a vegan. My jewelry business - Pomegranate & Eye - had it's best year ever. There were fun times on vacation, as Ned and I took a 2,000 mile camping trip up the Oregon Coast and got to experience miles and miles of old time radio CD's, beautiful coastline and forests, Ned's first ever camping trip, collecting all kinds of shells and rocks and memories! And....we continued to feed hundreds of our city's homeless populations with our In His Shoes crew as we signed up and became one of the regular guest chefs at Glendale's homeless shelter, and we continue our work feeding and clothing those on the streets on downtown's Skid Row area. Wow....in retrospect, this year has been action-packed! And pretty good for an old lady like me!!! Life is good, and full! I wonder what's in store this year! If it's anything like the year I just had, I know it will be filled with happiness, friends, family, great memories with some great surprises mixed in. It was a beautiful birthday. I really couldn't have asked for it to be any better. This morning, I received somany hugs and happy birthday wishes from Mamajan, Neddy, sisters and brothers, and then my church family. And then after church, my daughter Ani and her husband Eric, and my son Nareg, and his girlfriend Rosalind joined Ned and I for lunch at my favorite vegan restaurant. It was very special to me to see how beautifully my children have grown up and now have their own lives with kind and compassionate hearts. After we said our goodbyes, we went to my sister's to pick up Mamajan and bring her home..and I got to visit with my sister and nieces. And now, we're home, where I logged onto Facebook and found a gadjillion birthday wishes. Life is beautiful when you're surrounded by the ones you love and who love you. 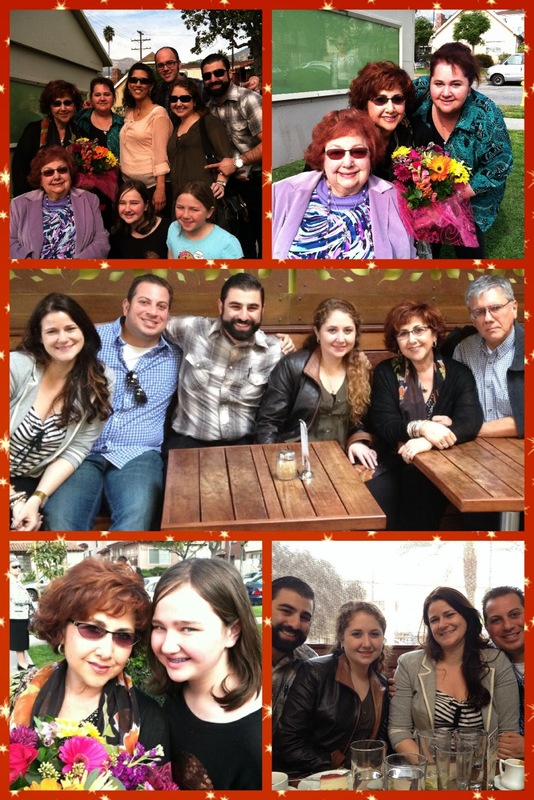 Thank you to all of you who make my life so very special and blessed! Welcome back! Just last week, I shared with you some of my emotional triggers. Yesterday, I was reminded of another trigger from my past ....actually from my sister's past... and when we were talking about it I thought of all of you and wanted to share. So yesterday I had the pleasure of spending the afternoon with my nieces Madilyn & Nicole. We were driving along talking about school and how the year is going for them, when my niece Madi said to me, "Mom told us the story of how you had to dissect a pig once." This made me smile (no disrespect to the poor little piggy). In truth, no, "I" didn't dissect the little fetal pig. I couldn't. But I was the group member that had to participate by watching and taking notes for the others. So here's the story...I promise to tie it all in with the triggers and not try to gross you out too much....really. So here's the deal: My sister, Sona, is 9 years younger than I am. For some reason, she was off school that day and with my mom working, I told mom I'd take Sona to school with me. I only had one college biology class and then I'd be free for the rest of the day. So off we went to Cal State. It just so happened, though, that that was the day I had the lab where we were studying anatomy. So here's poor, 10-year-old Sona in a college lab class and out they bring the trays with the poor piggies on them. Well, the smell of the formaldehyde was getting to my sister, but what could I do. She had to stay in the class with me and not wander off, so I searched my purse for something that would occupy her while I took notes. And in my purse I found this little sample of White Shoulders perfume which was very popular back then in the 80's. So I took the little top off, handed it to Sona, and told her to smell the perfume rather than the formaldehyde.. So she took the little bottle and did what I asked. Soon the class was over, we cleaned up and headed out. And that was pretty much it. BUT my poor sister...to this day, some 30 or so years later, everytime she's in a crowd and smells that fragrance, White Shoulders, she associates the smell with fetal pigs!! The visual rushes back, and so does the nauseating feeling the formaldehyde gave her. That's how powerful these triggers are! Terrible, isn't it??? So for that, I'm sorry Sona! 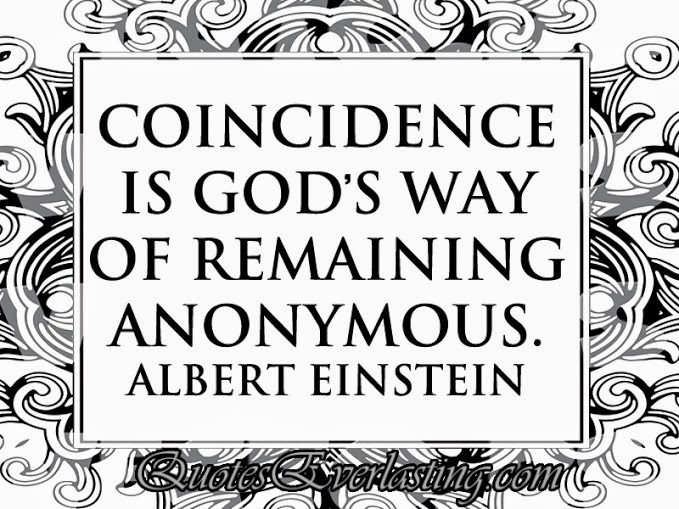 "Coincidence is just God being anonymous." I love that. Okay, so if you are a regular here Inside the Pomegranate, you know that my word for the year is SURRENDER. I'm trying to surrender things to God; meaning, that I'm trying to simplify and give up my control...not force MY will but to try harder and listen to the clues that God sends. Well, this past Monday, God sent me a clue...but I didn't get it. I was so busy trying to stay on schedule that I bypassed it until He had to stop me with a tsunami (literally) until I listened. This past Monday night, we had our Skid Row outreach scheduled. As always, we gather at church around 7:00 p.m., prep the soups, load the cars and we head downtown. And as usual, my husband and I bring the hot water in two five-gallon thermoses, ready to hydrate the cup of noodles that we serve. Well, it all started on Sunday when I got to church. One of our Parish Council members gave me the bad news. When they opened the storage shed at church, they saw rat droppings on the canopy, and on the thermoses as well. YUCK! So I brought the thermoses home, and gave them a scrubbing with bleach, cleanser, more bleach, hot water, and I cleaned them up. The following evening, I got home from work and started heating the hot water for the thermoses, and loading my car with the clothing I had collected. I noticed that this time around I had quite a bit of women's clothing. Although there are women on the streets, they are outnumbered by men by about 10 to one. Still, there were jeans and shirts and shoes that they could use, and whatever we don't distribute, we take to one of the shelters anyway. So I continued loading. The whole passenger part of the back of my car was full of clothing. Okay, that was done. Back into the house. The water's hot. I bring the thermoses to the kitchen...and poured the first batch of water into the thermos. As the steam clears from my glasses I notice that water is POURING out all over our kitchen floor! I grab the thermos, throw it in the sink. What happened? Well, in checking out the thermos further, I found that the rats had chewed the little rubber faucet thingee ...on both thermoses. Okay, so towels, clean up, I should have gotten the clue - Just call it off, and reschedule. But no. Not me. 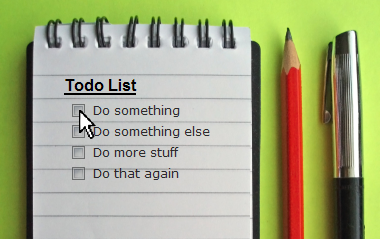 I'm too busy to realize stuff, right? So panic. What am I going to do? It's almost 6:00 p.m. Ned's not yet home from work, we have to be down at church by 7:00. I filled up more water pots to boil, tell my mom that Ned will be home soon and have him turn the water off when he gets there. I get in my car and drive off to buy two more thermoses from Smart and Final. I get there, grab there 2 five-gallon thermoses, pay, rush home...Ned's home, the water's ready. It's 6:40. We poured the water in the thermoses, load them in the car, kiss mom goodbye and we're off to church. We're going to make it. Driving down to the freeway, I'm feeling my stomach unknot a bit. We get close to the freeway entrance, Ned makes an easy lane change and suddenly --- WHOOSH -- Tsunami!!! I am sitting in the front passenger seat and suddenly my feet are in an inch of hot water! The pressure from the heat of the water, popped the lids off (I didn't really think about the fact that the new thermoses had snug-fit push on lids, not screw on) and the movement had caused the containers to spill. There was seriously water everywhere, and a lot of the clothing we were taking to Skid Row was soaked wet. And that was it. As we sat there in the car, water everywhere, I looked at Ned, he looked at me. And I realized that okay, tonight, was just not supposed to happen. The first message had come when the water spilled out of the thermos onto the kitchen floor. But did I get it? I had my own agent. My will, right? It took a tidal wave to stop me, but I got the message...finally. So I called my crew who were all at church ready to go, and we rescheduled for Thursday. After that, I couldn't help but wonder why. Was something going on in downtown that night that we weren't supposed to be part of? Was there some danger? Or maybe there is something we're supposed to be part of on Thursday? Maybe they'll need us then? I wouldn't know that part. But I was kind of anticipating that I would find out in some way. Thursday night came. The car was loaded again, the new 10-gallon thermos (with the screw on lid, thank you) was filled and off we went to church. We met up, loaded the cars and headed to downtown. The second stop we make is usually just a quick stop. So much so that we don't usually all get out. There are just a few people there and we do a quick food stop and head off to the next, more populated stop. But this time was different. Very different. This time the stop was a full stop because as we gave out the food to the usual few locals, more people started coming. We opened up completely and started distributing. And then we met Brenda. Brenda, a nurse, introduced herself as one of the case managers at the Women's Shelter that had just opened a few buildings down. She was thrilled that we had the women's clothing because she knew her residents would be able to use it. She asked if we could stop there, but given that we didn't know the number of residents and wanted to avoid not being able to supply all of them, I asked Brenda if she could ask her residents to come out. So for the next half hour or so, we were able to meet, feed and distribute clothing to these very nice women. And amazingly, we had quite a bit of women's clothing to give. We also had the little hotel toiletries that many had collected for us. Brenda and I exchanged information, and in the future, when we have the extra clothing for the women, you can be sure we'll know where to donate. When we reached our last stop of the night, we were met with a lot of hungry people. They lined up for soup as we were in full force distributing water bottles and snacks as they waited. The two cars with the clothing where surrounded as needs were met. After about a half an hour, it seemed that most had been fed. We still got a few coming up for food, but most of the clothing and blankets had been distributed and things were winding down. A woman crossed the street toward us. She was friendly. She asked if we might have any clothing for her. And surprisingly, Sedma and Lida were able to find her a pair of pants. There was a dress that would fit her, and you can tell it took her back. She shared that this was just the kind of dress she used to wear. Our ladies told her to take it, with the hope that someday soon she'd be back on her feet again. And then she asked about shoes. Did we have a pair of shoes for her? We didn't. She shared how her feet had been bothering her. She had on a pair of old patent flats that had no support. They were too small and that caused a lot of problems with her heels. She the showed us poor foot. Her heal was cracked and sore and looked so painful. But this woman's disposition didn't reflect that pain. She stayed a while and chatted with us. I could tell that Lida was very moved by this woman's optimism. And before I knew it, Lida was in the car taking her shoes off. Not in front of the woman, but quietly on the side. She didn't want the woman to know she was giving her own shoes to her. She gave them to the woman who was so thrilled to have some supportive walking shoes. We gave her extra soup and water as well. She blessed us and headed back across the street. Our time on the street came to an end. We received the blessings of our friends, and all that was left over was one small bag which we dropped off at the shelter. Driving back I usually recap the evening. I'm always in amazement as to how God puts us right where we are supposed to be. And I thought about the course of events that led up to Thursday night. How we were not meant to go on Monday but on Thursday. I had wondered why our plans were changed and had searched for the connection. And then it came to me. Yes, we had made new connections. Yes, we did have a disproportionate amount of women's clothing than we usually do and it came to good use. But I think I had it all wrong. I kept thinking the reason was going to be because we were going to be helping someone that really needed us on that night, but the reality is that WE were the ones that needed the help. After going on this ministry for the past six years, it was US that needed the reminder of the human connection, of how we are all sisters and brothers. We needed to be there on Thursday rather than Monday to be filled with compassion once again. We were all moved. Lida's heart was touched by this woman. 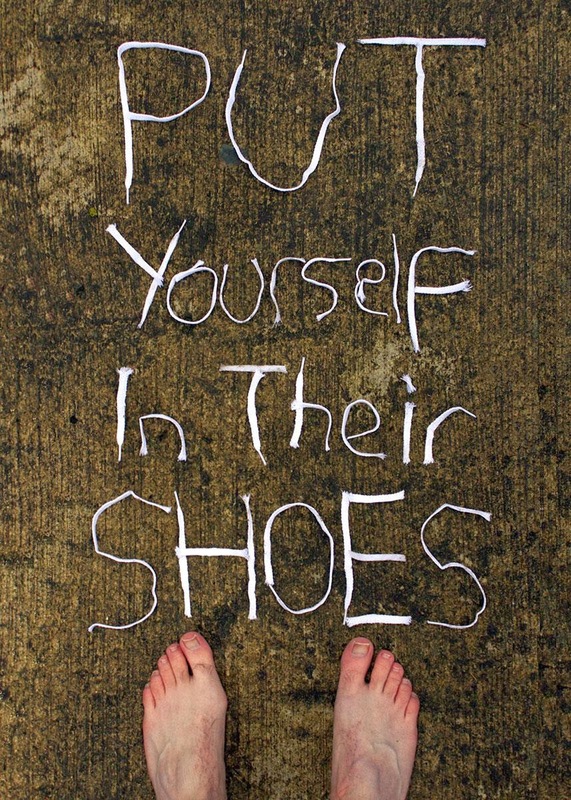 Our In His Shoes ministry puts us in the shoes of others. As women however, we bond a little differently with the women on the street. Sometimes life throws us some crazy punches even when we have homes, jobs, families and support. Being a woman living on the street without these things makes it a hundred times more difficult. When we are there on the street, it helps us to understand how we are all related and how we all belong to one another. WE were the ones that needed to be right where we were, to accept God's beautiful blessing of love, compassion and sharing that night, to which we are so grateful. So there you have it. I'm going to try to be a little more in tune to God's will, and not my own, knowing and understanding that there are some plans in the works that I may be standing in the way off. I'm learning. Before I finish up for today, I wanted to ask for your prayers for a friend of mine that has been diagnosed with Stage 4 esophageal cancer that has spread throughout her body. Her name is Jeri, and her doctors are giving her only two years to live. As grim as her prognosis seems, God is the ultimate healer, and the only one that can know her life. Jeri is a fighter, and is positive in light of the tough road ahead. She has started her chemo. And yesterday, her dearest friend had put out a "shoe your support" request, asking that those of use that were friends of Jeri's drop off a pair of our running shoes with a note to her. The shoes were put, quietly, on Jeri's lawn at midnight last night, so when Jeri woke up this morning, she saw the support of all those whose lives she has touched. Yesterday, I dropped off my shoes and seeing the box of shoes and notes, I was so filled with emotion. Cancer is a terrible thing. I have been blessed to have survived it three times. 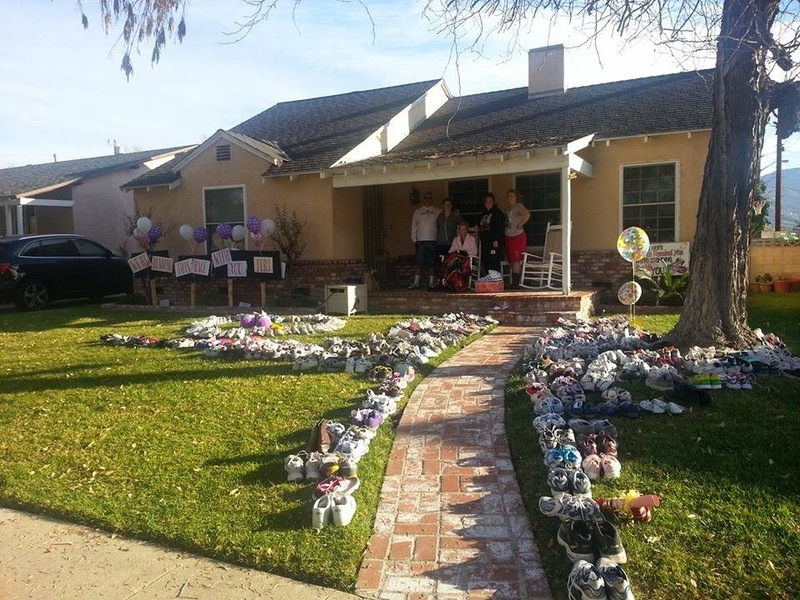 A group of over a hundred friends and family gather last night and quietly walked to Jeri's home and lined her walkway and her front lawn with the shoes. Over 250 pair will be donated to charity. My heart goes out to Jeri and can do is to pray, and believe. I ask you to please remember Jeri and her family in your prayers. Pray that God give her strength, courage, the willingness to fight and stay positive, and to BELIEVE in her wellness. That's all for now. 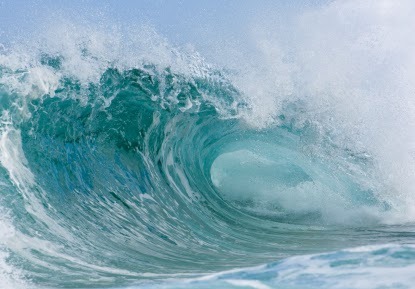 Wishing you all a blessed week, with no tsunamis in your forecast! ITP #27: What does Anush have in common with Roy Rogers? They both have Triggers! On this episode of Inside the Pomegranate, Anush shares what she's learning about herself and dealing with emotional triggers. Got triggers? We all do! Tune in to Inside the Pomegranate. 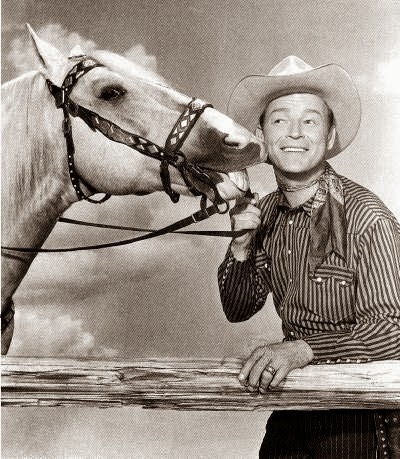 What do Roy Rogers and I have in common?? Last week I wrote about the word "surrender" as my word for the year, the word that I will use to guide me this year. This has been a good one for me. This week I've really thought about surrendering things over to God and I have, and already I am feeling a lot lighter. And that has really raised a lot of questions - or should I say, it's given me a lot to think about regarding emotions, and how much I react emotionally to so much around me. Are you emotionally sensitive? I most definitely am. So I thought today I would write about emotional triggers as I'm learning all about them and trying to figure out how to deal with them in my life to reduce some of my stress. Sometimes the emotions that cause the triggers are justified. Let's say when you were a kid, the neighbor's dog bit you....so now, you might have a fear of dogs, or just the sound of a barking dog can set you into a panic. That would be understandable. Or less obvious,with all the homeless outreach we're involved in. what if seeing the homeless people on the street triggered the feeling of sadness inside you because you notice how the people that we serve have no food. That's natural. But taking it a step further: You go to lunch with a friend. You have a great time, but then you notice how much food is wasted when they clear away the bread basket and the food around you. You remember the homeless and how they don't have food and this makes you so sad. Your mind associates eating out being sad. So you isolate yourself from going out because of the sadness it's going to make you feel. One really common trigger is wanting to eat when you feel sad, upset or you want to get rewarded. I know this is one that I am dealing with even now. I know it started when we were little kids. When we'd celebrate getting good grades, or doing well at a recital, or completing our chores, we'd get rewarded by going out for ice cream. Or if we were upset about something, we'd sit down with mom or dad and talk over some hot cocoa and some cookies. Pretty soon those yummy sugary foods got associated with comfort, celebration, and making things "all better." And this is why today, many years later, sugar is what I want when I am feeling stressed, upset, happy, sad...you name it, sugar is the answer. Our strengths are also our greatest emotional triggers. We might like the fact that we're loyal, or honest, creative or funny. We react emotionally when we feel that someone is discounting what make us who we are. The thing is, is that these events in our lives that trigger these emotions usually happened years and years ago...in our childhood. A lot has changed since then. We've even changed. That moment is never going to happen again, but what gets left over are the little triggers in our minds that set off the same feelings that the original event set off for us way back then. Some of these feelings might be the need to be accepted or liked, the need to be included, or to be in control (there's that control issue again!! ), how about the need to be valued or to fit in, or to get attention, the need for peace, or to be understood. This past week of surrendering control to God has brought about all these thoughts within me. I have been consciously trying to take a look at some of the ways I react emotionally. Our thought reactions are just thoughts. I've been trying to see if what I'm feeling is justified or am I going by what I felt years ago to some other event. And then I've been trying to surrender it. Acceptance...God accepts me for who I am. Needing attention...When I pray, God is my captive audience. Control....nope, I'm not in control...I've given that up to God. Being Liked....he even likes me (a little). Peacefulness...when I'm truly with God, I know peace. So I'm learning to anticipate the triggers. And I'm figuring out how to deal with them: sometimes going for a walk or doing something physical helps. If there's someone to talk to about it, then I do...or I write about it (thanks for being here! ), and most definitely I surrender it over to God. So that's what's been going on with me this week. I'm feeling a lot less stressed because I'm not allowing myself to control things...or even try to control things. God is in control. And I'm trying to let His will be done. Not mine. It's not easy, let me tell you...but we're working on it ...together. What do you think. Have you ever thought about what your triggers are? And how do they cause you to react? Come on, share with me! Just wanted to share: Just a couple nights ago, our In His Shoes group did our monthly homeless outreach at Ascencia. We always have such a great time when we're there. There are some beautiful miracles that are happening there especially among one family in particular so I waned to share it. Each month that we've been there, we've been blessed to serve a family with 7 children, a mother and father. All the members of this family, from the parents, down to the youngest child are always so polite, loving and kind. I love to see them all sitting down together. The children so respectful of their mother and father. The parents, so loving toward their children. When we were inquiring about this family over Christmas, one of the shelter managers shared with me that some good things were happening for them and that they are close to moving out of the shelter into transitional housing soon. I was so happy to hear this news. The case worker told me that the parents are aware, but they have not told their children so as not to get their hopes up. So I have been praying for them. And this past Thursday evening, I spoke to the parents and wished them a Happy New Year. I told them how much I appreciate their beautiful family, but that as much as I loved seeing them each month, that I hoped the new year would bring them closer to the realization of their dreams. I also shared with them that I had been praying for them. The parents beamed, smiled and looked at each other like they knew a big secret. I didn't let on that I knew. They asked me to please keep praying because "good things were definitely happening." So I'm asking all of you if you would please join me in praying for this beautiful family. Have a pomegranate week, peeps! Filled with hope and ripe with possibilities! ITP #26: Have you chosen your one word to work on this year? Or has that one word chosen you? On episode 26, Anush shares what she'll be working on for 2014...and a lifetime. Cristos Dzunav Yev Hydnetzav! Tzezee/Mezee medz avedis!! It's super super early on January 6 morning, and I woke up early to be the first to wish you a very blessed Theophany and Christmas and to greet you with the good news that Christ is born and revealed! It's early Monday morning and in just a little bit we'll be heading off to church for Badarak and Water Blessing. We were at church last night for Christmas Eve service and I don't know what it was, but there was a JOY there. We left there happy carrying our lit candles in jars and lanterns and carried the light of Christ and that joy back to our homes..
work table at home where I do my beading...it's mass chaos..and it's ALWAYS like that. I get so excited about working, that I don't put the beads away and move on to the next project, and then I'm left with a massive "bead soup" not to mention the wires, pliers, tools...you get the idea. But I didn't want to base the whole year on that...so I thought about other words. Then I thought about the word - CREATE! Now that's a really good one. I love to create. And I'm happiest when I'm creating. Beading, cooking, drawing, crocheting, painting. I thought if I chose the word Create that would keep that in the forefront. But that almost seemed too easy since I've always got several projects in the works. And so then, during my morning prayer, I found my word. And it's a word that I don't normally use. It's not even something I like to do, but I'm guessing that's why it came to me. The word is SURRENDER. SURRENDER. It's a weird one, right? Well, let me tell you how I got to it. I have been doing a lot of introspection lately. I think all of us do at the start of the new year. We start thinking of our lives moving by, and although I don't really believe in setting those resolutions, I tend to always be working on improving. Given my past medical history, I do feel that my health is something I need to manage, and so I work on a holistic approach for body, mind, and spirit. Well, lately, I have been trying to figure things out about myself and my need to control. Yep, that's me. Sometimes I can be a control freak! It's not something obvious, like me exerting my will on others. It's more subtle than that. When I say control, it's more of the need for me have everything in place. And then want everything to go just so. And there's the accompanying stress that goes with it. And the unraveling (of myself) when it doesn't happen the way I have planned. Now this is really funny to me because I like to think that I'm a "go with the flow" type of person...but in thinking about it, sometimes - not all the time, mind you, but sometimes - I'm guilty of only going with the flow when the flow is flowing my way. So I've been thinking about that, and working on it. I mean, I pray "Thy will be done" but then turn around and push my agenda to "MY will be done." And I don't think I'm alone on this one, right? I mean, if I'm truly committed to putting God's will ahead of mine, then am I picking up on the clues that God gives me when things don't fall into place the way that I want them to? Most of the time, I don't get that little signal - that subtle nudge - that maybe there's a reason why I won't get my way on things rather than pushing the envelope until I do. And then other times, I TOTALLY get the subtle nudge and still, I do what I want! to give up, abandon, or relinquish (comfort, hope, etc.). to yield or resign (for example an office or position) in favor of another. When we think of this word, we usually think of it as a weakness right? 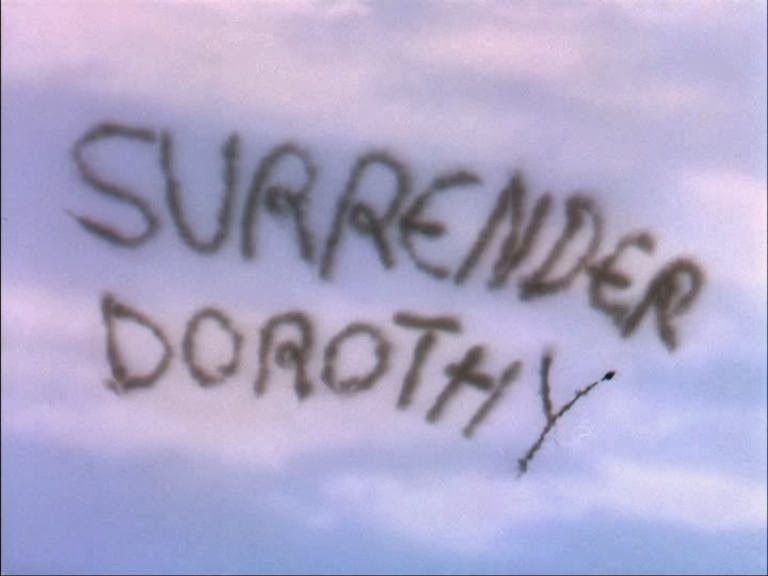 You picture Dorothy and Toto in the Wizard of Oz being chased by the Wicked Witch when you see the witch flying her broom in the sky and spelling out SURRENDER DOROTHY! Or we think of the white flag in old war films where one army surrenders to the other. It's generally the weak that surrender to the more powerful, right? Well, that's just it! Is there anything more powerful than God? 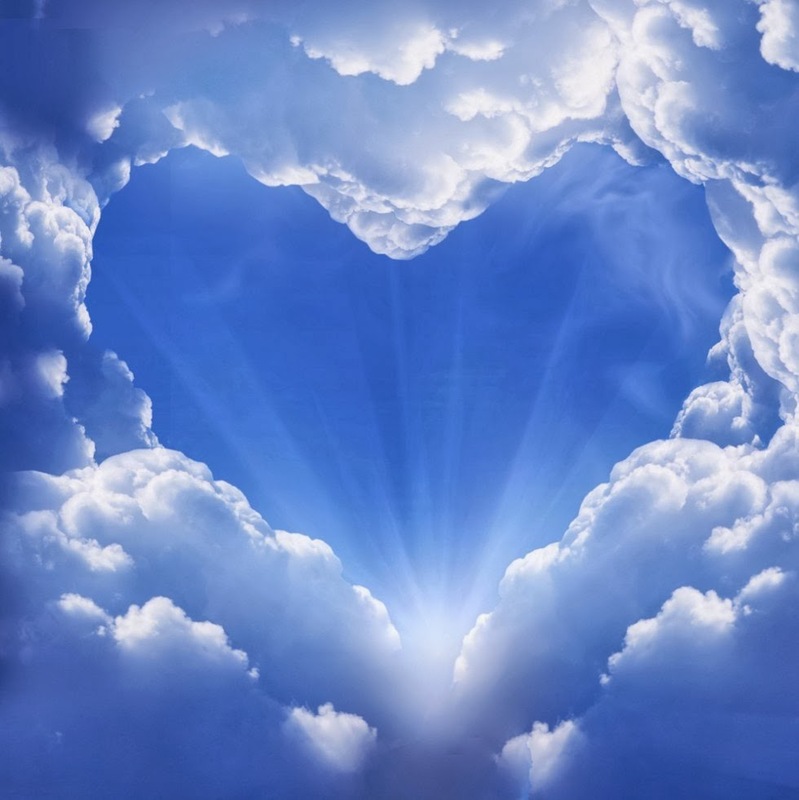 And now taking that one step further, since we believe that God is Love....is there anything more powerful than Love? I'm okay with being the little guy on this one, y'know? I'm okay with admitting that I am not as strong or as powerful. But my will is strong. And sometimes I think I know what's best rather than listening - or feeling - that God has a better idea. My hope is that by choosing this word - SURRENDER -it will help me put God's will into perspective. I'm hoping so. I want to be more mindful - or more connected - to God and what He has in store for me. If I give up my control and just surrender my will to God, He has already told us that he will take care of things for us, right? So my hope is that by being mindful of this one little word, that I will be opening new doors to a more God-centered life. Oh and wait, there's another component of this too. Because I'm going to try to surrender my will, that is also going to mean that I can't impose my will on others. (See, I told you I can be a control freak). I'm older now, my children are grown so I don't have young kids to parent. So part of surrendering is going to be about handling myself to the best of my ability, and allowing others to also do the same for themselves. No instilling guilt (seriously this can be a big one). No offering advice unless I'm asked. Just allow everyone to take care of themselves (unless of course they ask for help). The more I think about it, the harder this one sounds! But I'm going to work on it! Surrender to God, Surrender to Love. Act only out of love and kindness! It sounds pretty good to me and I have to say, that so far, so good. I have been thinking about this and trying to act on it for the past 5 days and so far, and it's going well, so we'll see. I only have another 360 days (and a lifetime) to go! I hope you have a very blessed Christmas and a beautiful year ahead. Cristos Dzunav Yev Hydnetzav! Ortnyal e Hydnootyunun Cristosi! Christ is Born and Revealed! Blessed is the Revelation of Christ!